This is the first Vape shop I've ever been to that I automatically did not feel like a "noob" because I use an EVIC and a tank instead of a mod and rba set up. So they get points there for that. The atmosphere is absolutely the most welcoming of any Vape shop in Sacramento. The staff is very professional even down to their uniforms, they are just a cut above the rest of the shops I've been to in the area. Their juice selection is VERY BROAD, and they only stock juices from reputable vendors that are well established so there is no more "falling in love" with a juice only to have the vendor close down or stop production. Same with equipment. This is by far the best Vape shop I have ever been to. 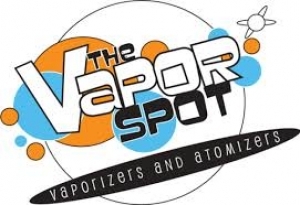 This review is about The Vapor Spot located in Sacramento CA by the way, same company just different city. Great complex juice. The initial hit is rich and creamy, most often it reminds me of Baileys Irish Cream. As you begin to exhale you should pick up notes of licorice and absinth which may sound like a weird combination but trust me when I say it makes the WHOLE vape! The slight licorice taste serves to clean the pallet (at least it does mine) and set you up for another hit. At higher heat it tends to taste like dark caramel and burnt molasses (if thats what you like it puts out a good deal more vapor at higher heat) Overall the complexity makes keeps it interesting, and light enough for an ADV!